Welcome back to Part 2 of our look at the Strauss Family, leading up to the Morris Museum’s An Evening with Strauss on Thursday, January 16! As a single family of musicians, conductors and composers, the Strausses are nearly without equal. So let’s explore briefly both the professional and personal lives of this prolific family. 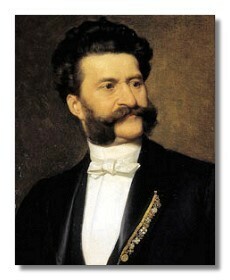 Johann Strauss the Elder excelled as a violinist, and joined Michael Pamer’s orchestra as a teenager. 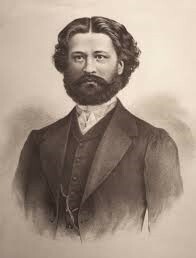 At fifteen, he was recruited by Joseph Lanner, also a former member of Pamer’s orchestra, and began a productive career that included both conducting and composing music. Lanner launched a second orchestra with Strauss I at the helm. The Lanner-Strauss partnership is credited with the introducing the Viennese Waltz. The history of the waltz dates back to the 13th century as a dance form enjoyed by peasants in what is now modern-day Germany and Austria. Based on these early folk dances, the waltz, danced in ¾ time, was considered quite immoral and scandalous. It wasn’t until the popularity of Strauss’s music during the 19th century that the waltz became an acceptable, even elegant dance performed and enjoyed by royalty and the nobility. While his professional life and music was well-known, the personal life of Johann Strauss I also presents an interesting story. Of the six children born to him and his wife, Maria Anna Streim, three sons pursued musical careers, against the wishes of their father. But Strauss also maintained a long-time mistress who gave him an additional seven children. Following Anna and Strauss I’s divorce, he lived with his mistress and later died in her flat in 1849. Interestingly, Strauss was buried in Vienna next to his old friend and musical partner Joseph Lanner who had died in 1843. 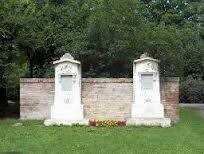 Although their remains were removed from the former cemetery, the original tombstones of the two men continue to stand in Strauss-Lanner Park in Vienna. The most well-known Strauss, attributed as “the waltz king,” is Strauss’s son Johann. Strauss II was encouraged to pursue a musical career by his mother and eventually formed the Strauss Orchestra; it’s interesting to note that for a short period of years, the orchestras of father and son were in competition with each other! However, upon the death of Strauss the Elder, the Younger combined the two orchestras and brought in his brothers, Josef and Eduard, to help manage the Strauss Family Orchestra. Taking a page from his father’s life, Strauss II acquired three wives throughout his lifetime, yet also proved to be an unfaithful spouse. 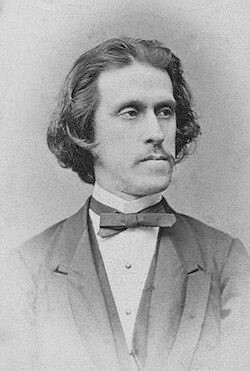 However, professionally, the amount of work he produced – more than 500 orchestral compositions including An der schonen blauen Donau, or The Blue Danube waltz – made him one of the most prolific of all the Strauss men, and he continued to write until he died in 1899. 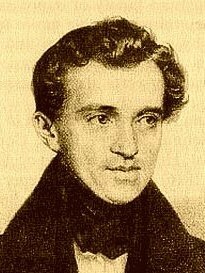 As with brother Johann, Strauss the Elder discouraged his younger sons, Josef and Eduard, from pursuing musical careers. Josef, born in 1827, completed his education in mechanical engineering and became a distinguished architectural draftsman in his field. Acting as interim conductor for his brother, Johann, Josef eventually left the engineering field to exclusively devote his time to the family orchestra. Although not as well-known as Strauss II, he was as equally prolific a composer, producing hundreds of tunes including about 500 arrangements of other composers’ music. His career ended with a fall from the conductor’s podium, and he died in Vienna in 1870. 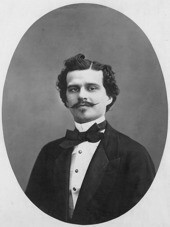 Eduard, born in 1835, had a career in the diplomatic service, but also became an accomplished harpist. In time, he too, joined the family business as a conductor and took over the orchestra’s management upon the death of Josef. He maintained the Strauss Orchestra for over thirty years until its final performance in 1901. Married, with two children, his elder son, Johann, would continue the Strauss musical tradition. An accomplished composer in his own right, Eduard would enjoy the longest life of all the Strauss men; he was 81 years old when he died in 1916. 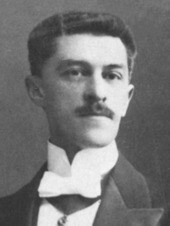 Johann Strauss III, son of Eduard, born in 1866, continued the family tradition of conducting and composing. While musically-talented as a conductor and composer, he was not as dynamic as his predecessors. His catalog of music was less abundant than those of his grandfather, father, and uncles, and his music was considered somewhat lackluster. Few of his compositions were recorded, and he died in 1939. Thanks for joining us on this exploration of the accomplished musicians, conductors, and composers of the Strauss family. If you’d like to learn more about the Stausses and hear their music played live on mechanical musical instruments, join us this Thursday for An Evening with Strauss!